The legendary singer of Led Zeppelin returns to Australia along with his band, The Sensational Space Shifters. With a new album ‘Carry Fire’ out October 2017, and the incredible 2018 milestone; marking 50 years since Led Zeppelin’s first self-titled album was released, it promises to be a powerful show, that’s not to be missed for any true fan. Formed in 1968, Led Zeppelin went on to become one of the most iconic and beloved bands in music history. Songs such as “Whole Lotta Love”, “Black Dog” and “Stairway to Heaven” became anthems that are still revered by music lovers of all ages. The Led Zeppelin era ended in 1980 when John Bonham died. Since that time, Plant has put his wide-ranging musical fascination to good use on solo albums, such as 2007’s Raising Sand, which Plant made in collaboration with Alison Krauss that won six Grammy® Awards, including Album of the Year and Record of the Year. The Sensational Space Shifters are his latest project, first established in 2002 they are a loose band "inspired by the roots music of Mississippi, Appalachia, Gambia, Bristol and the foothills of Wolverhampton and drawing on influences collected in a lifetime of meander and journeying." 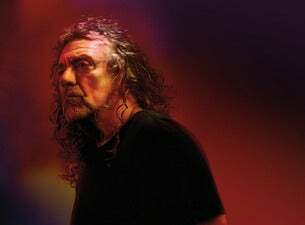 Robert Plant’s new album, ‘Carry Fire’, will be released October 13. Each night on this tour of Australia, Robert Plant will take audiences on an incredible journey through his unique musical life. These shows will include rare performances of some Led Zeppelin hits in intimate spaces that will allow fans to experience the full power of his epic vocal prowess.